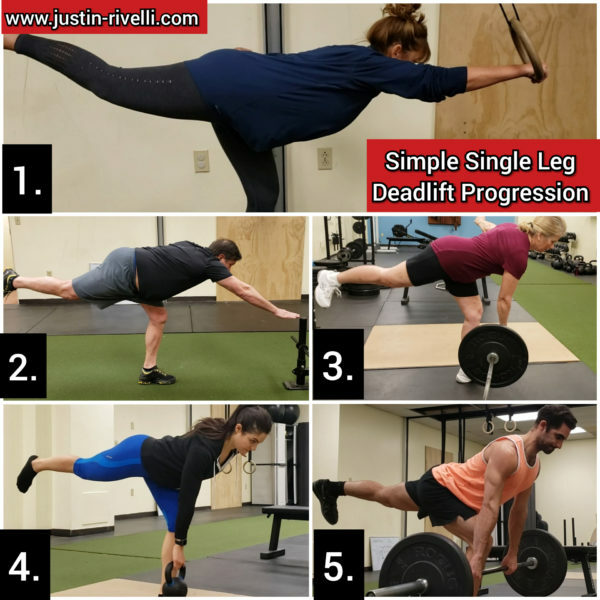 Here’s a simple single leg deadlift progression you can use with your clients or yourself. For most people, picture/video 1 is the least challenging, and picture/video 5 is the most difficult. Don’t limit yourself to the single leg movements or progressions shown in the video. There are plenty more I didn’t post.